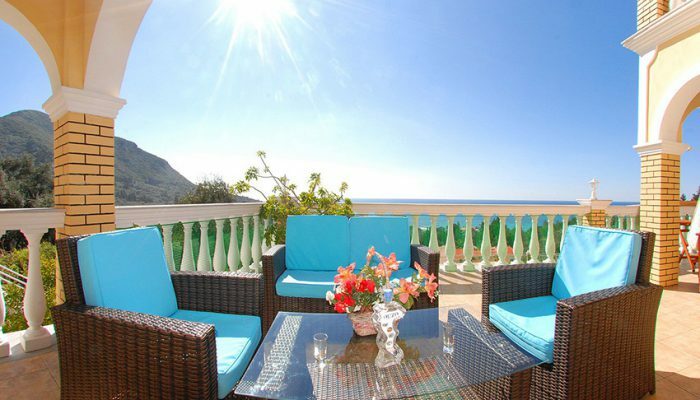 Only 700m from the magnificent sandy beach of Paramonas beach. Paramonas is a good destination for nature lovers where the peaceful environment and the green landscape will captivate you from the first sight. A complete guided introduction to the world of olive oil! You will walk through the olive groves, visit a 15th century oil mill, and taste our special selection of extra virgin oils, flavoured olive oils, olives, vinegars, salts and more at our gourmet store. Changeover can be any day. From extra services which is not include in the price can be written it in your enquiry. 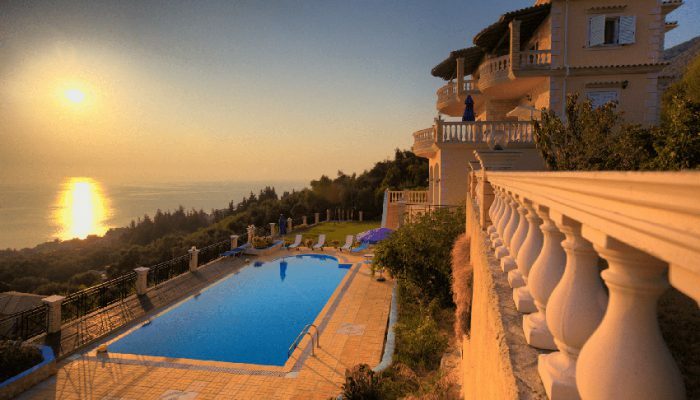 What can I say – a beautiful villa with a view to die for. Clean, spacious, light, airy, open – fabulous and exclusive interior and exterior. An infinity pool with a whirlpool – perfect begin and end (and inbetween) to each and every day. Watch the swallows drink from the pool during the day and the bats in the evening – your own nature show. Voyageant tous les ans à 8 adultes et quelques enfants, voilà la plus belle location ! La famille Dafnis fait tout pour que l’on se sente comme chez soi sans jamais être envahissant (malgré les invitations barbecue apéro…) ; la maison est parfaite pour 8 adultes et de jeunes enfants, une vue incroyable (mer avec un environnement de montagnes sauvages, pas de constructions défigurant le site). We believe progress is only possible when we work together.